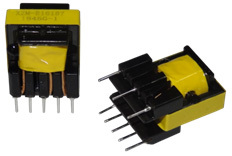 High Frequency Ferrite Transformers are a major component of switching power supplies, and choosing the right product configuration is a key element in any power supply design. ZETTLER Magnetics' proven formula of close customer engagements focused on individual design requirements, combined with highly cost-effective manufacturing automation is perfectly suited for many industry applications. Recently, an industry-leading home appliance manufacturer asked Zettler Magnetics to design a 2.6W switching power supply transformer with a wide input voltage range that meets several critical requirements including: electromagnetic interference performance to achieve EN55022, pass 85/85 temperature and humidity testing to meet IEC61558, and meet IEC60335 electrical performance and structural insulation requirements. A team of Zettler Magnetics engineers custom-designed a transformer by performing double-layer shielding of the inner and outer layers, while using minimalist skeleton design. The tailor-made transformer met the customer required design parameters, simplified materials during the design process, while also optimizing the electrical performance of the product, and enabling fully automated high-volume production. Zettler Magnetics produces more than 40 million transformers per year and has power supplies ranging from more than 50 different form factors to 1W to 1KW. 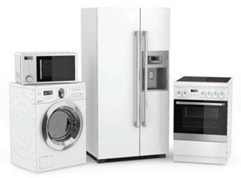 To support a wide range of applications from washing machines and kitchen appliances to lighting and the Internet of Things.